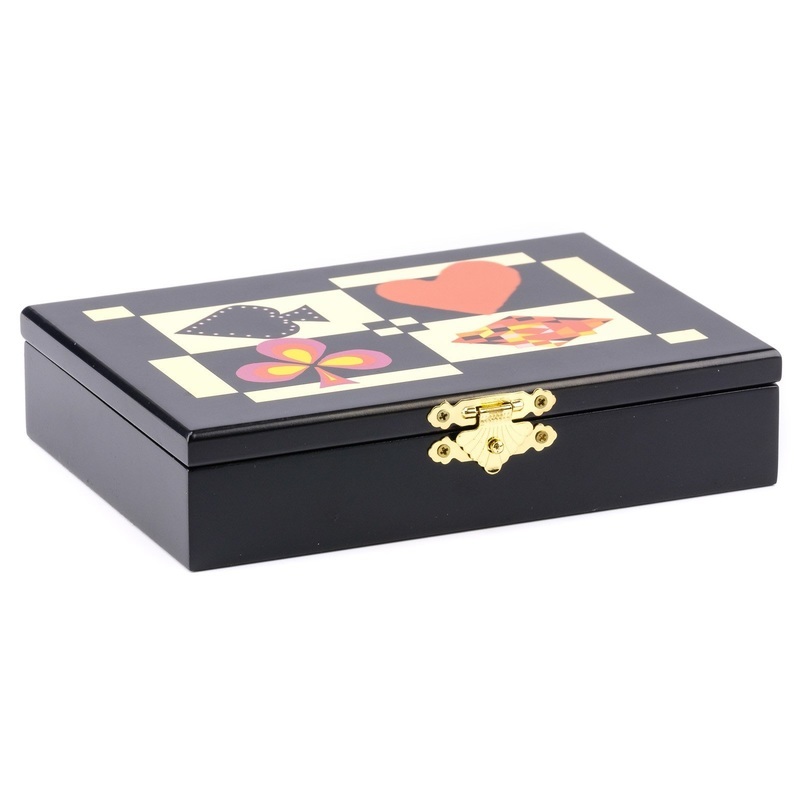 Satin Black Designer Playing Card Case makes a perfect business gift. This case is extremely well constructed. It has a 4 1/2" piano hinge on the inside of the case when holding the lid in the open position. All of the exposed parts are finished with a satin black finish or black micro suede. 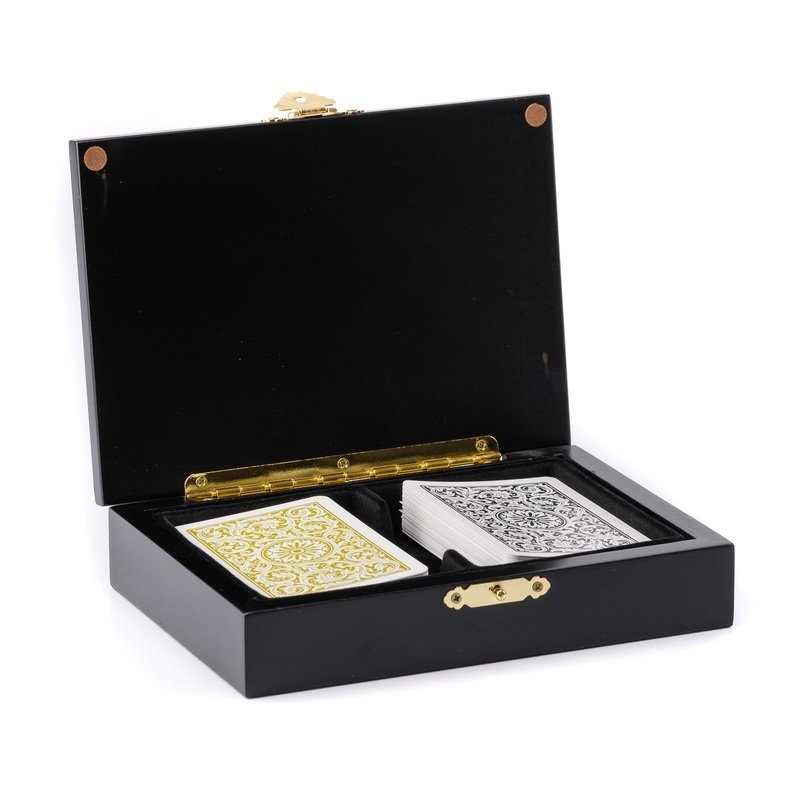 This card case holds two decks of either bridge or poker size cards in a slanted holder with easy recessed finger hole to allow for simple removal of the cards. The bottom is covered in black suede. The case measures 6 3/4 L x 4 3/4 W x 1 1/2" H.